Works are now up on the Gallery Page. Park Life is pleased to announce, Bad Company, new works by Christopher Baird. Baird will be exhibiting a show of new paintings and mixed media works as well as a site specific installation in the Gallery. With straight forward, essentially trompe l’oile paintings of found (and often thrown away) book covers Christopher Baird deals with the Bad Company of his (and our) contemporary world. Through a kind of realist/minimalist lens he selects these discarded images and remakes them. They have a looming presence and it’s meant to be. They are confrontational and not reassuring, pessimistically optimistic. 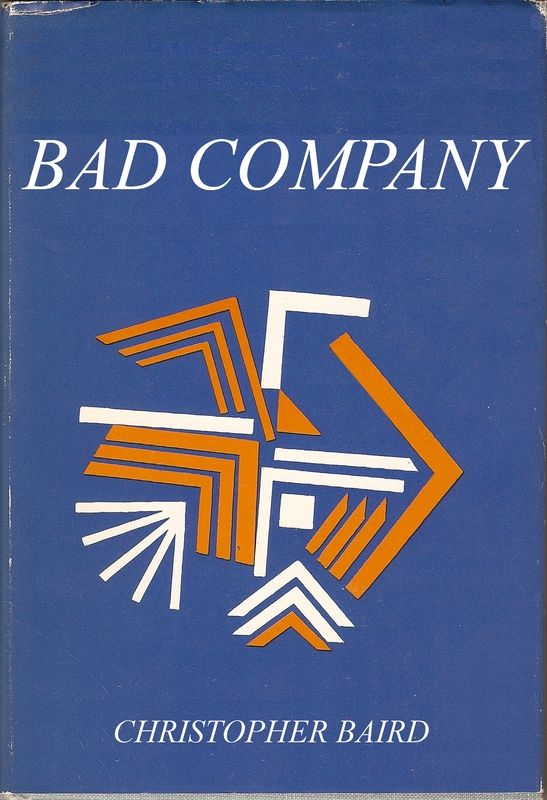 Bad Company belies real feelings, and its presence is uncomfortable, casual in its straightforward manner and almost funny in imagery. Bad Company pokes fun and pays homage simultaneously loathing and lauding the history, aggression and machismo of abstraction and the mainstream acceptance of its representatives. Christopher Baird was raised by Bay Area Californians in Portland Oregon. After high school at the Arts and Communication Magnet Academy, he studied painting at the San Francisco Art Institute where he received his BFA. His work was recently included in group exhibits at Park Life, San Francisco, The Popular workshop, San Francisco, Jancar Jones Gallery, Los Angeles and Partners and Spade, New York. 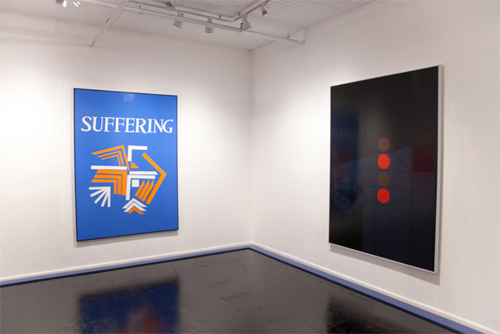 He has had solo exhibitions at Baer Ridgway Exhibitions, San Francisco, Receiver Gallery, San Francisco, and Adobe Books Gallery, San Francisco. He lives and works in San Francisco, CA.